Thirty years on, Madness are a British institution and their music has become the soundtrack to many a 30 and 40-somethings youth, young adulthood and middle age. The band's songs have become so ingrained in the modern British psyche that they have been turned into a West End musical and have been used in a variety of jingles and advertisements. Now the band's lyrics are the focus of a new book of Victorian-era English translations and are helping to launch a multi-million pound ad campaign on behalf of Virgin Media. 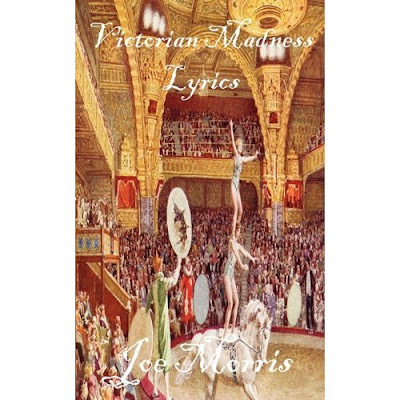 Madness fan Joe Morris has just published 'Victorian Madness Lyrics' in which he has translated nearly all the lyrics to every Madness song into Victorian English. According to Morris: 'In a nutshell Victorian Madness Lyrics is a mad, wacky and nonsensical homage to Suggs and the lads in zany and incomprehensible Victorian language- in a ridiculously exaggerated style. In a way I've just translated the original lyrics into Dickensian style. I think its a wonderfully affectionate tribute to Suggs and the lads.' For instance 'House of Fun' becomes 'Establishment of Amusement', while 'Baggy Trousers' is now 'Ill Fitting Pantaloons', and the Madness anthem 'Our House' translates to 'One's Abode'. Speaking of 'Our House', Virgin Media has unveiled its new advertising campaign, which features the lyrics from the song recited by a male voice over and set to the Dan Black track 'Symphonies'. The multi-million pound ad campaign celebrates families, couples, professionals and friends making the most of the digital world provided by Virgin Media. 'Victorian Madness Lyrics' can currently be found at Amazon.co.uk and most online British book store web sites including Foyles, Waterstones, WH Smiths, Blackwell and the World of Better Books. For fans of Madness living in the U.S., the book is available at the Barnes and Noble web site. The Virgin Media ad can be seen on television sets across the U.K.